Oh Silly Putty. We all played with it when we were a kid and loved it. It’s still around and hasn’t changed much since I was a kid. Around Christmas the boys got some silly putty from relatives. They played with it and stretched it out and I always thought the stuff was harmless…..
Until, I work up one morning to find hidden on the floor, under a blanket, mashed into my almost brand new carpet, a giant flattened sea of silly putty. I was mortified and really thought the carpet was ruined. I frantically searched the internet and came across something (I consider now to be somewhat of a magic trick) something I never knew rubbing alcohol takes out silly putty from carpeting and actually removes most stains. I couldn’t believe it. I always thought rubbing alcohol worked like bleach and would white out things. So desperate, I tried it, and let me tell you amaz-ing! This was like a whole container of silly putty mashed so hard into the carpet I was already claiming defeat. I sat there for awhile put rubbing alcohol on a towel and basically just rubbed until everything was gone. My carpet looks brand new again. Like it never happened. Every time I walk by that silly putty area, I look, smile and still think how amazing that was. So if that every happens to you, remember the rubbing alcohol for silly putty and general carpet stains it’s really amazing (please still do a small area test on your carpet prior). Silly putty is allowed back in our house again. I was about to try some of the more extreme solutions about the web using alcohol & WD-40 when something occurred to me: silly putty is sticky to itself! Wow! The silly putty came right out with rubbing alcohol! Great tip!!! Wow!!! It had been in the carpet for a year, and came right out!! Thank you, thank you, thank you!!! wow it really worked! came right out and i thought i had to replace the carpet! thank you so much! I had silly putty on my brand new carpet last Christmas and I thought the same thing : ) Happy to hear it worked out! Also if you do not have alcohol , facial astringent will remove it very fast !!! It was all over my couch!!! 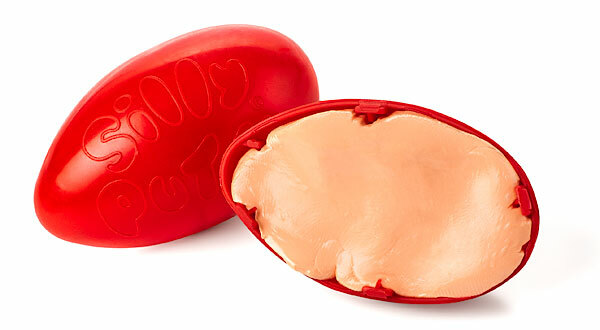 Silly putty is allowed back in the house thanks to this article! Several suggested that rubbing alcohol will remove it very east. WOW we had red silly putty rubbed in our brand new carpet,thought oh crap what will we do now,immediately looked on line and rubbing alcohol worked AMAZINGLY we slowly rubbed out with a washcloth and alcohol got every bit out putty and red dye.Thanks so much.